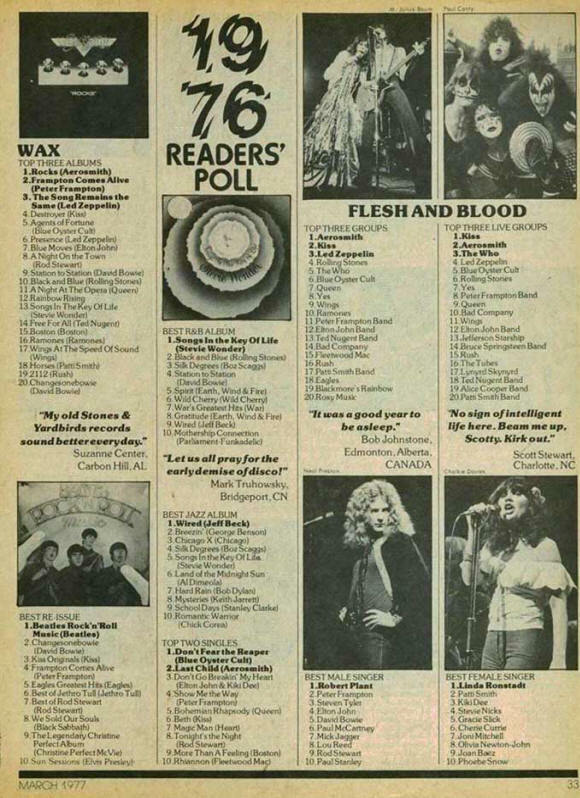 Creem magazine selected readers poll results. Special Thanks to Charles Board for these lists. 3. Bad Company- Bad Co.
7. Eric Clapton- 461 Ocean Blvd. 4. Peter Frampton- "Signed, Sealed Delivered"
15. Elvis Costello- Get Happy!! 11. Elvis Costello- Get Happy!! 4. War - Why Can't We Be Friends?